Griffin's Twenty Digital Audio Amplifier lets you use your existing speakers with AirPlay. 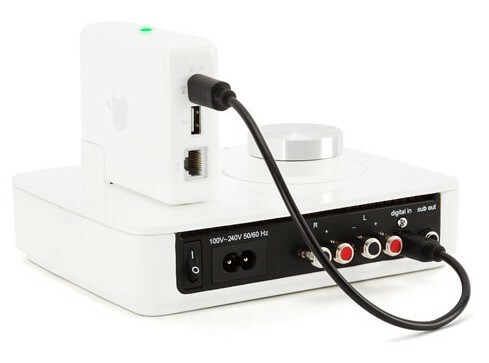 Griffin's Twenty digital audio amplifier lets a user play digital audio from iTunes to an existing set of speakers wirelessly using an Airport Express wireless base station and Apple's AirPlay wireless audio/video protocol. The result is a zero-configuration audio set-up, streaming Apple Lossless sound from iTunes to the user's speakers via a low-profile digital amplifier. 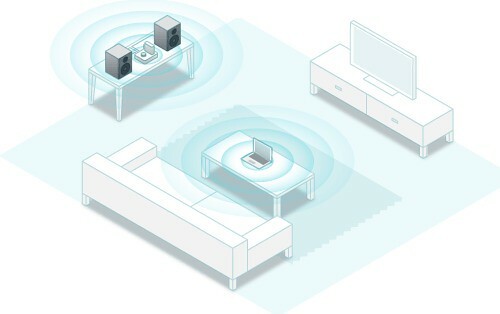 AirPlay streams Apple Lossless-encoded audio from your iTunes library or an AirPlay-enabled app. The Twenty Audio Amplifier uses your Airport Express to capture the AirPlay stream, decode it, then send the sound through your speakers.